An antique stipple engraving by E. Scott after I. Boyne. "London Publish'd. 10 Jany. 1792 by Bull & Jeffryes, Ludgate Hill" with later hand colouring. Elderly men sit and stand, all smoking long pipes; large clouds of smoke issue from their mouths, Laid on thin card with top margin missing and many marginal repaired tear with some paper loss in lower right margin as shown.
" 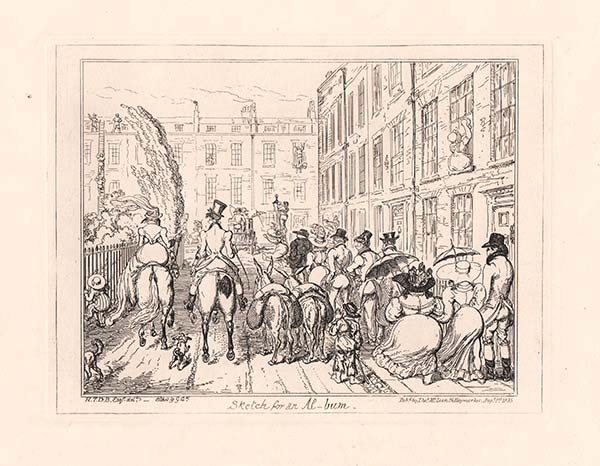 Sketch For An Al - bum "
An antique etching published on Aug. 1, 1835 by Thomas McLean, 26 Haymarket, from the original plate designed and etched by George Cruikshank. Two heads before and after ordination. More Info Plate 52 'Eccentric Excursions or Literary & Pictorial Sketches of Countenance, Character & Country, in different parts of England & South Wales.............' Two heads face each other in profile, one (left) of a young man in cap and gown, with his hair curling on his shoulders, and a cheerful expression. The other (right) of the same man transformed: his hair is strained back from a receding forehead and smoothly tucked under the high collar of his coat. He wears bands and looks down sourly with protruding underlip. One wears a frilled cravat, the other clerical bands. 14 January 1797 Hand-coloured etching Isaac Cruikshank the Elder after George Moutard Woodward. Few blemishes top left corner. 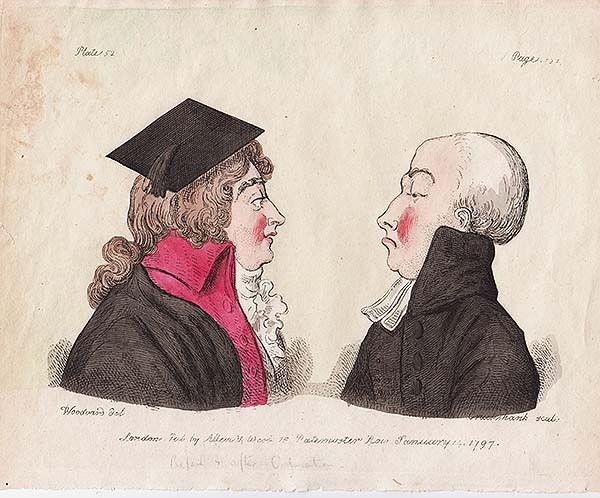 Plate 52 'Eccentric Excursions or Literary & Pictorial Sketches of Countenance, Character & Country, in different parts of England & South Wales.............' Two heads face each other in profile, one (left) of a young man in cap and gown, with his hair curling on his shoulders, and a cheerful expression. The other (right) of the same man transformed: his hair is strained back from a receding forehead and smoothly tucked under the high collar of his coat. He wears bands and looks down sourly with protruding underlip. One wears a frilled cravat, the other clerical bands. 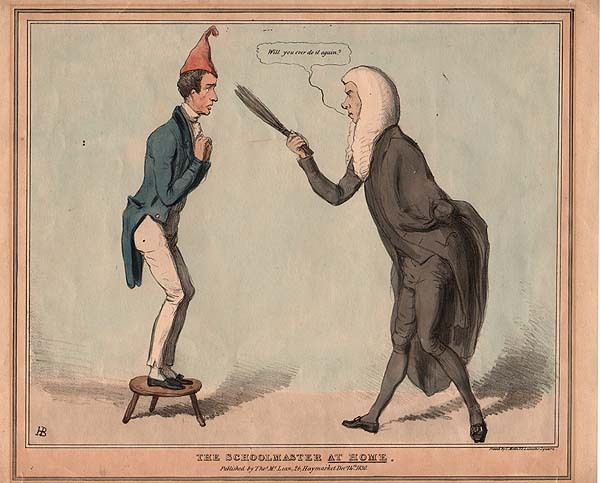 14 January 1797 Hand-coloured etching Isaac Cruikshank the Elder after George Moutard Woodward. Few blemishes top left corner. What! never upset in a gig. More Info An antique aquatint engraving by E. Duncan, drawn and etched by T.J. Rawlins and H. Alken. Published November 1st, 1850 with original colouring, by R. Ackermann at his Eclipse Sporting Gallery, 191, Regent Street. Published in "Memoirs of the Life of the Late John Mytton, Esq. of Halston, Shropshire, Formerly M.P. for Shrewsbury, High sheriff for the Counties of Salop & Merioneth, and Major of the North Shropshire Yeomanry Cavalry. With Notices of His Hunting, Shooting, Driving, Racing, Eccentric and Extravagant Exploits By Nimrod. 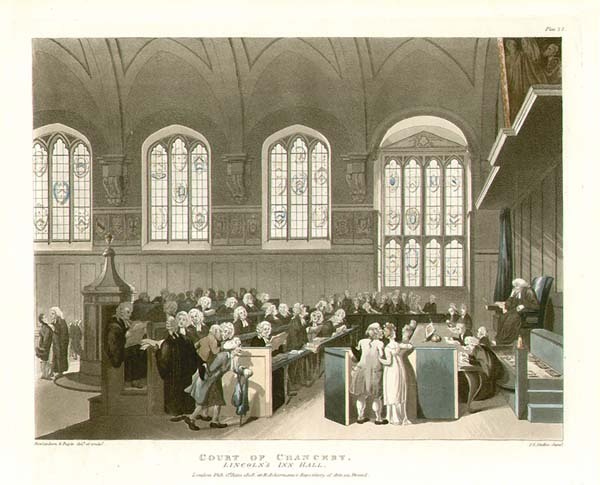 An antique aquatint engraving by E. Duncan, drawn and etched by T.J. Rawlins and H. Alken. Published November 1st, 1850 with original colouring, by R. Ackermann at his Eclipse Sporting Gallery, 191, Regent Street. Published in "Memoirs of the Life of the Late John Mytton, Esq. of Halston, Shropshire, Formerly M.P. for Shrewsbury, High sheriff for the Counties of Salop & Merioneth, and Major of the North Shropshire Yeomanry Cavalry. With Notices of His Hunting, Shooting, Driving, Racing, Eccentric and Extravagant Exploits By Nimrod. 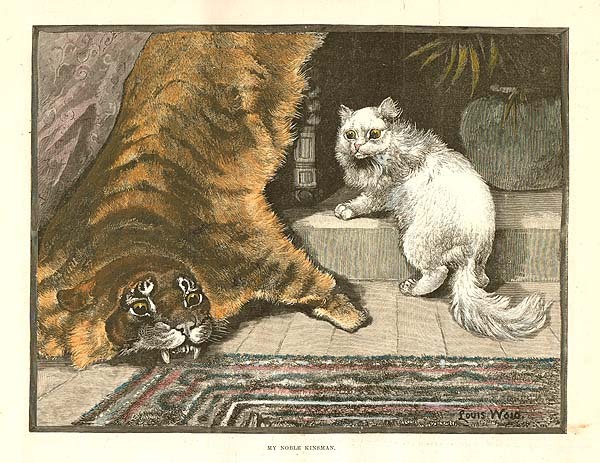 Louis Wain - My Noble Kinsman. An antique woodcut engraving which was published in "The Illustrated London News" on March 8th, 1890 with later hand colouring. 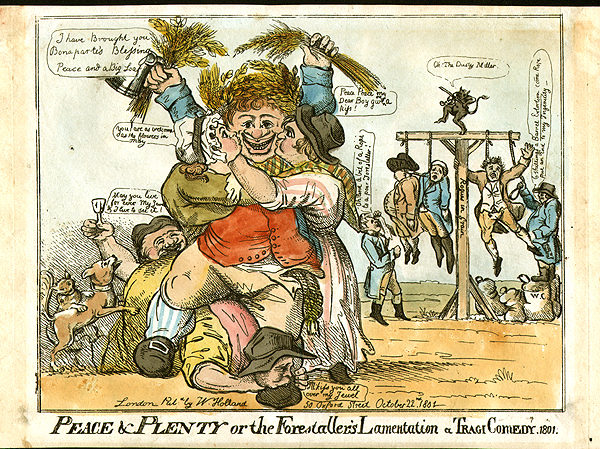 Peace & Plenty or the Forestaller's Lamentation a Tragi Comedy. 1801. More Info Addington's new Ministry had declared unsatisfactory peace terms with Napoleon, but John Bull is shown here receiving a rapturous welcome home from the wars. The price of wheat had also been falling since April with the fullfilled promise of a good harvest and the forestallers, who had been sitting on vast stocks waiting for fat profits, had been ruined. Original hand-coloured engraving "London Pubd; by W. Holland 50 Oxford Street October 22nd. 1801"
Addington's new Ministry had declared unsatisfactory peace terms with Napoleon, but John Bull is shown here receiving a rapturous welcome home from the wars. The price of wheat had also been falling since April with the fullfilled promise of a good harvest and the forestallers, who had been sitting on vast stocks waiting for fat profits, had been ruined. Original hand-coloured engraving "London Pubd; by W. Holland 50 Oxford Street October 22nd. 1801"
More Info An antique lithograph by John Doyle who used the monogram 'HB'. to sign a numbered series of 917 lithographs published 1829-51. Subjects are Philip Henry Stanhope, 4th Earl Stanhope and Henry Brougham, 1st Baron Brougham and Vaux. 'Published by Thos. Mc.Lean, 26, Haymarket Decr 14th.. 1830.' Printed by Charles Etienne Pierre Motte (1785-1836) 23, Leicester Square. Original handcolouring. Afew marginal tears extending ito border. Three minute wormholes in printed area. An antique lithograph by John Doyle who used the monogram 'HB'. to sign a numbered series of 917 lithographs published 1829-51. Subjects are Philip Henry Stanhope, 4th Earl Stanhope and Henry Brougham, 1st Baron Brougham and Vaux. 'Published by Thos. Mc.Lean, 26, Haymarket Decr 14th.. 1830.' Printed by Charles Etienne Pierre Motte (1785-1836) 23, Leicester Square. Original handcolouring. Afew marginal tears extending ito border. Three minute wormholes in printed area. The Principal Characters presented to Public Exhibition throughout Real Life in London. An antique aquatint engraving designed by H. Alken. Published in 1821. Original colouring. 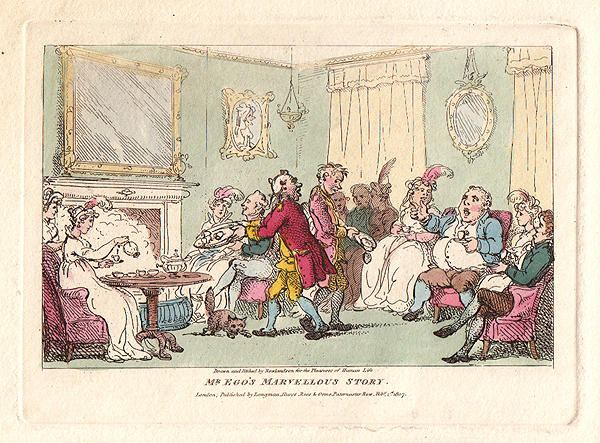 An antique etching drawn and etched by Thomas Rowlandson. 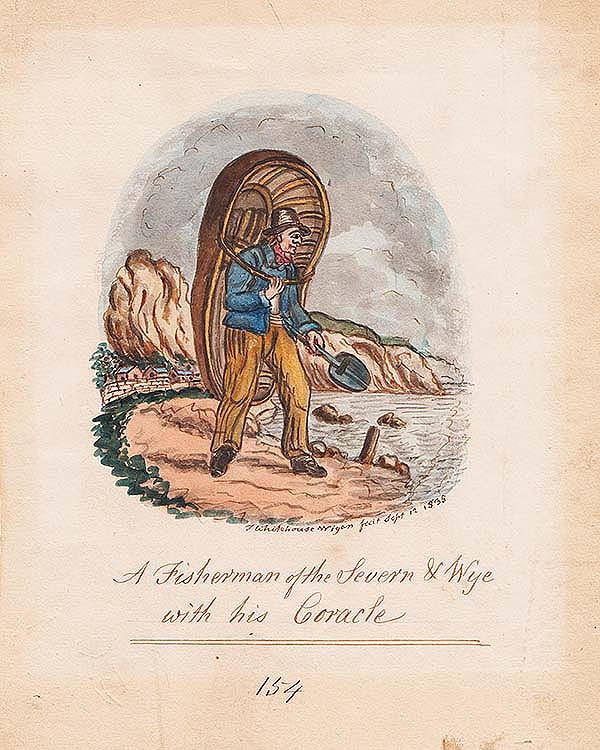 Published in 1807. Original colouring. An antique line engraving by A. Danse after Franz Meerts. Circa 1860. The colouring is later. "Jumping in Sacks." Etched by Robert Cruikshank after W.H. Pyne, engraved by G. Hunt. Published by Pyall & Hunt. A circle stipple engraving in sepia by Thomas Ryder after a painting in miniature by S. Shelley. Published in 1785. St. David's Day - Drawn by Kenny Meadows. A woodcut engraving which was published in "The Illustrated London News" on 24th February, 1849. The colouring is later. 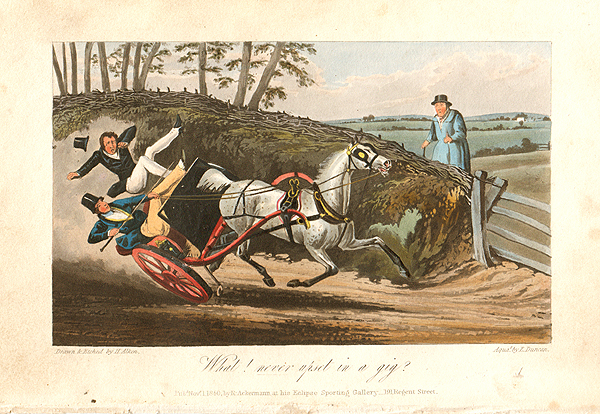 An aquatint engraving with original colour by J C Stadler of a Thomas ROWLANDSON caricature. 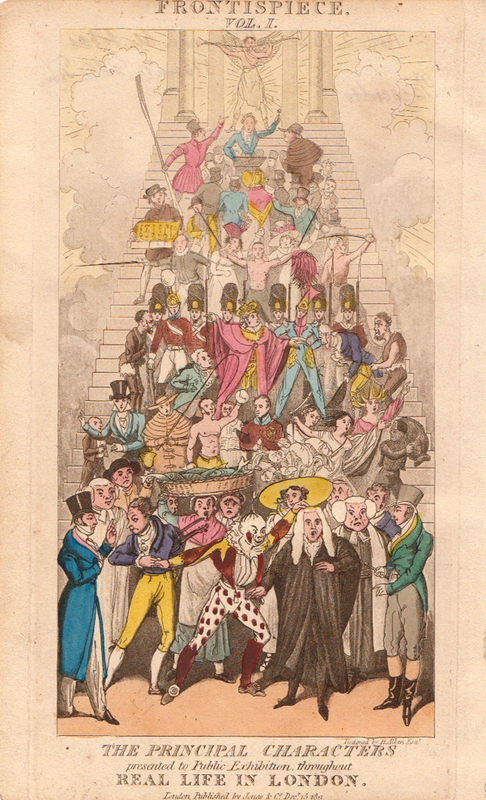 Published at R ACKERMANN's Repository of Arts in 1808.